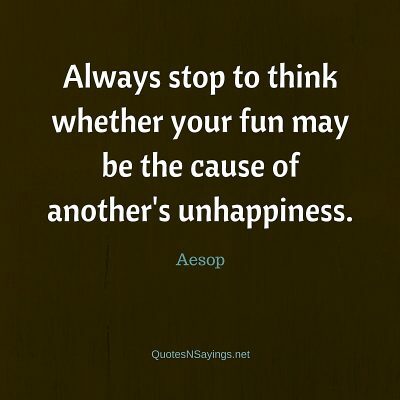 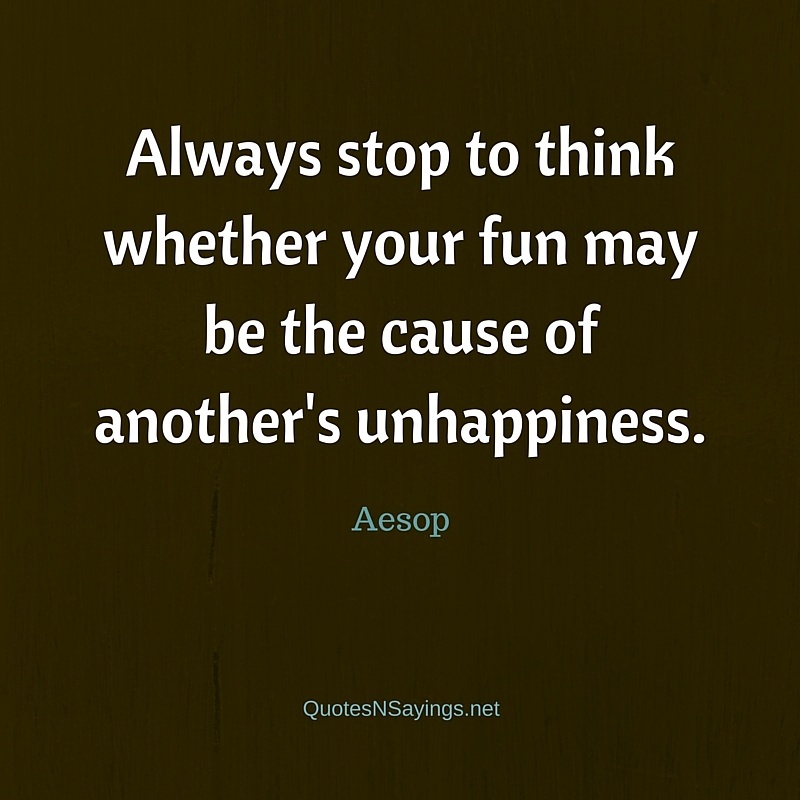 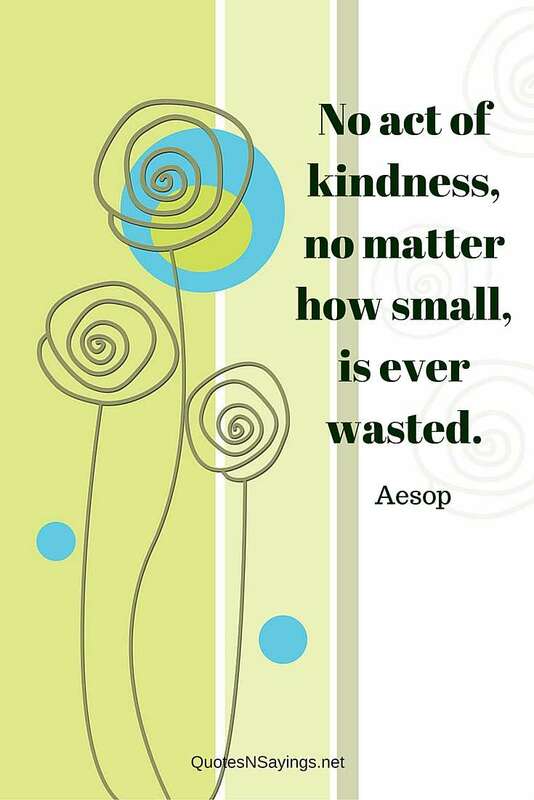 Always stop to think whether your fun may be the cause of another’s unhappiness. 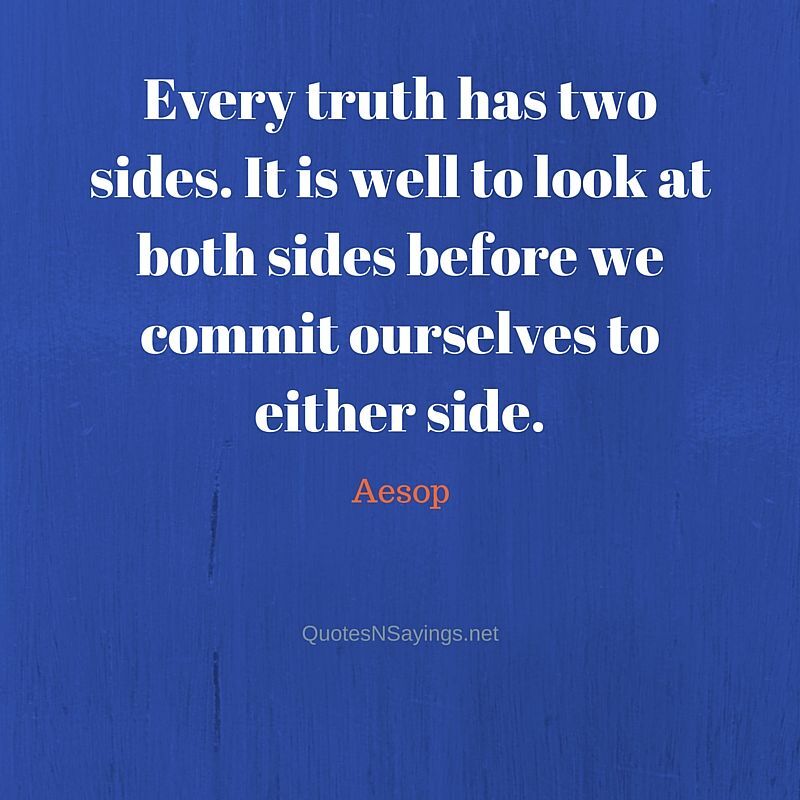 Every truth has two sides. 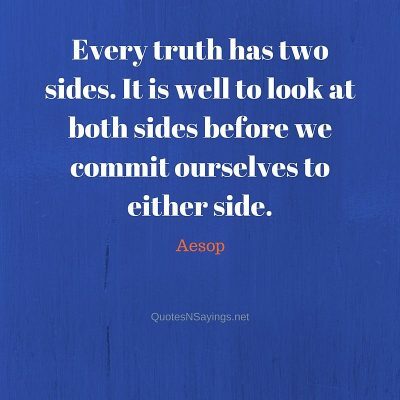 It is well to look at both sides before we commit ourselves to either side.